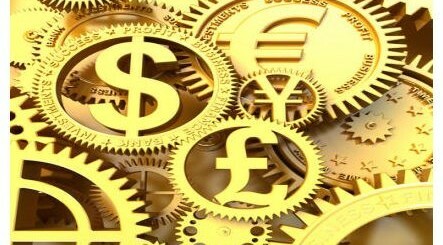 Each single weekday, the world’s financial powers play their massive ‘high stakes’ game that involves moving over $2 trillion worth of currency across the whole planet at the speed of light. When the chips are counted after the close of business, there’s certainly a group that wins and then there is a bigger group that loses. 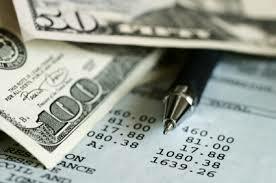 If you are a forex trader, there are very many things you can do to always be on the winning team, but it is not easy. Kathy Lien wrote the book ‘Day Trading the Currency Market: Technical and Fundamental Strategies To Profit from Market Swings’ as a guide to help ordinary traders and those struggling hard to make trades profitable to cross the elusive line and claim a place at the winning table. The book’s cover introduces the author, Kathy Lien, as the Chief Currency Strategist at Forex Capital Markets where her job involves providing fundamental and technical research reports, trading strategies and commentaries. She has also worked at JPMorgan Chase, appeared on CNBC, Stocks and Commodities, Active trader, CBS Market Watch, Futures and SFO where her work has been published. When you pick up this forex trading book, the first thing you will notice is the high quality of writing – the way the words are phrased, how narratives flow and how the tone is just perfect to convince you that the author knew what she was writing about. Lien begins this book by comparing the forex market with other trading platforms like futures and equities and explains why the forex market holds the most promising chances of success thanks to low transaction costs, continuous trading, customizable leverage and the fact that it is the largest market in the world. 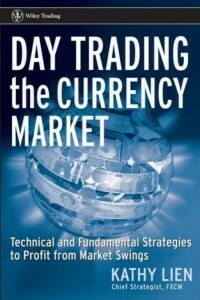 Whether you are a beginner or an intermediate trader, the book ‘Day Trading the Currency Market: Technical and Fundamental Strategies To Profit from Market Swings’ is right for you because it does deep to explain the concept of technical analysis, why technical analysis works best for the FX market and trains you to be a technical trader who can identify new breakouts and trends that offer multiple opportunities to enter and exit the trade. Lien also covers the currency market from a wide angle but in a relaxed style, dwells a little on the market characteristics such as those that identify the best times to trade, daily ranges to watch, how to manage various variable market conditions and the element of seasonality. Because Kathy Lien is a very respected member of the global currency trading niche, you cannot go wrong learning and adopting her strategies and using her advice and tips to place yourself on top of the pack. The book covers a lot more than I have mentioned in this short review, but I can assure you that investing in the book will give you back many times the worth of the book in ideas, tips, guidance and advice and real-life illustrations and examples. The book can be great for intermediate and experience forex traders but even beginners shouldn’t have a problem understanding it. © Copyright 2019 MassLib.net. Typegrid Theme by WPBandit.